Four ribbing-based textured stitch patterns combine in a slouchy hat that is completely reversible. 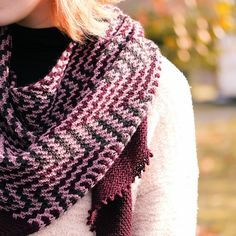 The combination of knits, purls and slipped stitches is highly effective with variegated yarns, and equally beautiful in semi-solids. Techniques & Skills Used: cable CO, knit/purl, slipped stitches, decreasing, working in the round; instructions for stitch patterns are in written form. Size: S (M, L); 16 (19.25, 22.5)” brim circumference and 8.5 (9, 9.5)” tall, unstretched; shown in Medium. 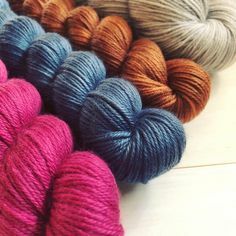 Yarn: Malabrigo Yarn Rios (100% superwash merino wool; 210 yards/ 192m/100g), size M shown in Candombe; 1 skein, or approximately 115 (145, 175) yards of worsted weight wool yarn. Other Materials: US 7 (4.5mm) for brim and US 8 (5mm) 16” circular needle and dpns, or size to match gauge; Stitch markers (8); Yarn needle. Gauge: 20 st and 28 rows/4” in Broken Rib, unstretched after blocking.